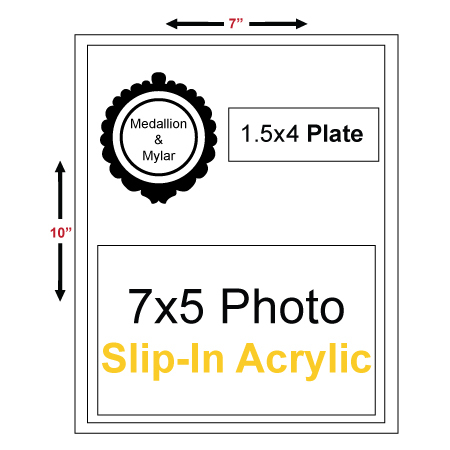 Appreciation Plate 1.5" x 4"
8"x10" plaque with 7"x5" slip in acrylic for a group photo, includes a stock plate of your choice as well as medallion with year or port mylar sticker. 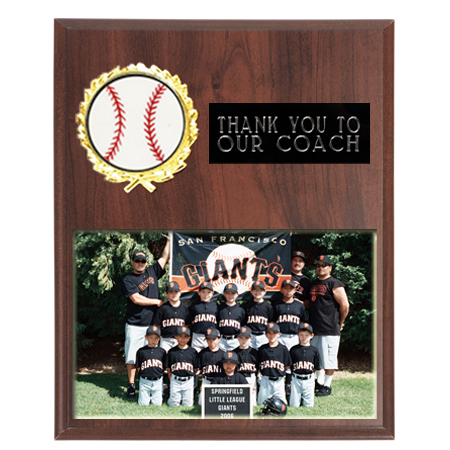 Stock plate choices are Sponsor, Coach, Assistant Coach, Manager or Team Mom. 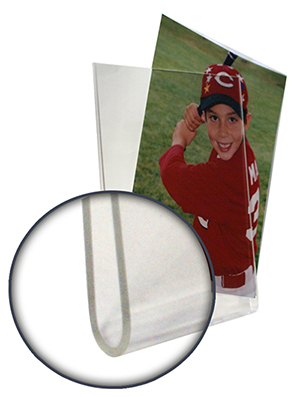 Stock plates are engraved by the diamond drag (etched silver on black) method. 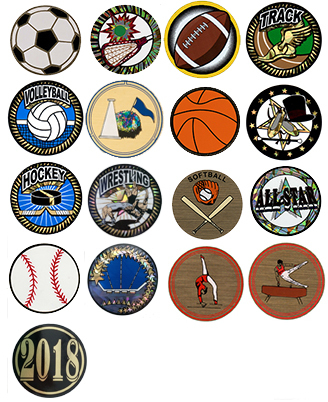 Mylar stickers are unattached so that you are ready for any sport in every season. 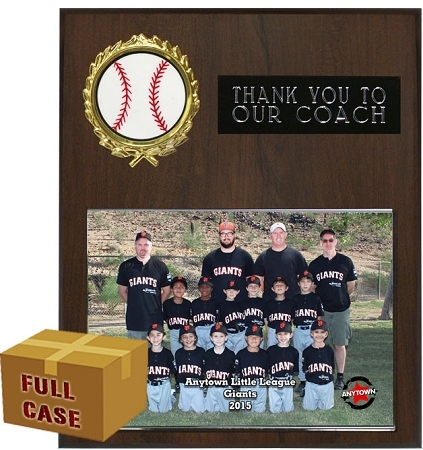 IMPORTANT: FREE mylar stickers, so you are never stuck with an out of season inventory!